John W. Walsh, who was diagnosed with Alpha-1-related genetic COPD in 1989, is the President and Co-Founder of the COPD Foundation, a not-for-profit organization dedicated to preventing and curing chronic obstructive pulmonary disease and improving the lives of all people affected by COPD. He is also the Co-Founder of the Alpha-1 Foundation (a research organization) and AlphaNet, Inc. (a unique, not-for-profit disease management services company run by and for patients). 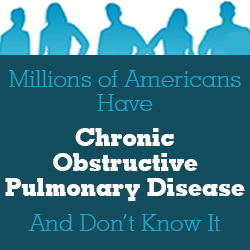 He can be reached at 1-866-316-COPD (2673) or info@copdfoundation.org.